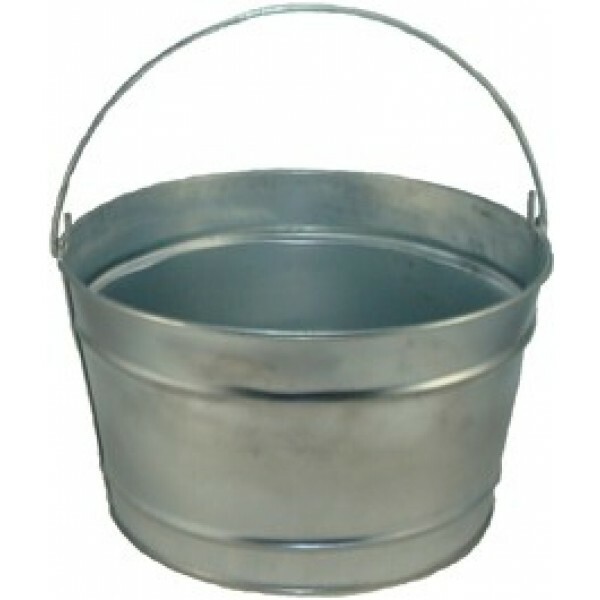 Size (in inches) at widest outside points (not including handle) - 14'' diameter X 8'' tall. Country of Origin: United States. Not for direct food contact. Allow up to 2 weeks to receive this item. 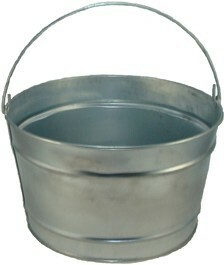 All are industrial buckets. Metal may be variegated and there will be a visible seal line inside the seams.